Here’s a nice long post since we probably won’t have service to post again until after the next hike is complete. 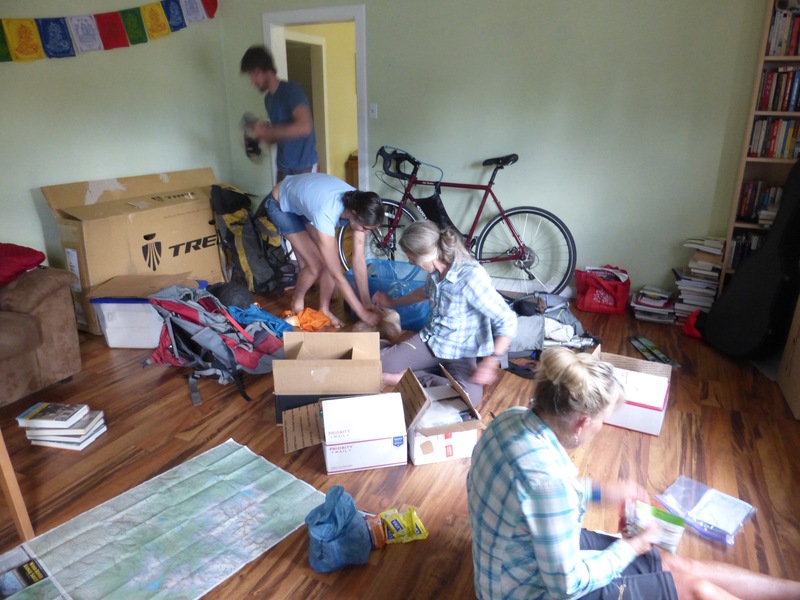 Tomorrow, we set off for 10 days on the Wind River High Route! We had a much needed double zero at Rockin’s house to take care of things before we headed out on the 16hr drive to Wyoming. My body feels great and like it hasn’t even been hiking, so that’s a great way to kick off 9 months of mostly hiking. Last year, when I did a bunch of shorter trails back to back over 5 months, I found it to be mentally exhausting for me. It was difficult to enjoy the early trails when I had so many logistics going on to plan for the others and a schedule to keep. I learned from that experience and have done my best to buffer in time to deal with the blog and logistics between trails so I can relax and enjoy the trails while I’m on them and not always feel behind. While we were at Rockin’s in Tehachapi, we got all the regular town chores done and more. We didn’t have to leave the house for 48hrs and it was great! 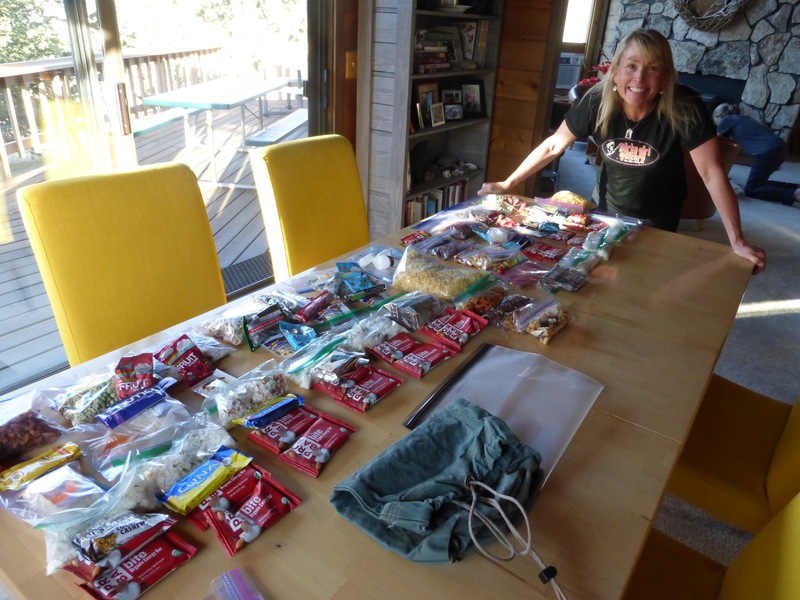 Rockin’ has tons of space and hosts PCT hikers all the time, so she has the perfect setup to host us. We got all the food and supplies we’d need for the zeros, so we were fantastically fed. Rockin’s husband Dan even made me brownies and washed my car which was covered in a layer of dirt! Pretty sweet! Thank you Dan! Resupplies for each of us for the Winds. Why Not with her resupply. Why Not likes non-GMO organic food that is low sugar. She likes to go stoveless to save weight and soak most her food. Rockin’ has been heating water for her at times for fun. Kind bars, Trader Joes chocolate, potatoes, pecans, macadamia nuts, coffee Starbucks Via, Pro Bar Base, GoMacro Bar, organic potato chips, dried fruit, homemade dehydrated lunch and dinner concoctions that include lentil curry, vegetable curry, falafel, quinoa, black bean, sweet potato salad, poha and chickpeas, New Mexican stew, rice and chickpea soup. 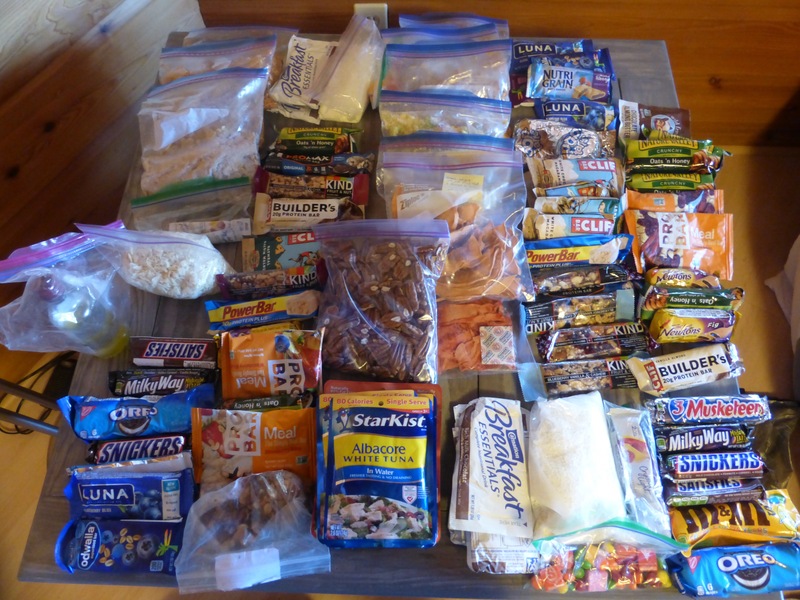 I take Mountain House dinners, Pro Bars, Clif Bars, Nature Valley Bars, Candy Bars, powdered milk, carnation instant breakfast, Pringles, dried fruit, pecans, Luna Bars, Odwalla Bars, Oreos, KIND Bars, Crystal Light, Skittles, Starburst, tuna packets, olive oil, (not pictured: string cheese and tortillas). Rockin likes things that are organic, free of gluten, dairy, soy, and corn. Pro Bars, organic olive oil potato chips, Luna Bars, Peanut Butter, fruit snacks, nuts, Huma chia energy gel, coffee Starbucks Via, jelly beans, homemade dehydrated concoctions of chicken, potatoes, quinoa, peas, chili, cashews, peanuts, rice, beans, spaghetti rice noodles, mushrooms, spinach, bell peppers, pinto beans, and plenty of Tapatio sauce. Other than the regular resupply, gear repair, and clothing chores, I checked a ton of stuff off the to do list! The list is never ending and I have a habit of staying up late to get it all done. Since I’ve been getting plenty of sleep on the trail, I had lots of energy to stay up (2am one night and 12:30am another night) and still be up at 6:30am to begin again. Here’s some of the fun stuff I got to do. -My visa for Australia came through, so I was able to now apply for my New Zealand visa for after that trip. -We decided to reduce the carry through the Winds, so I worked out logistics with staying at the Big Sandy Lodge along the route, which is difficult when they don’t have a phone or internet there. 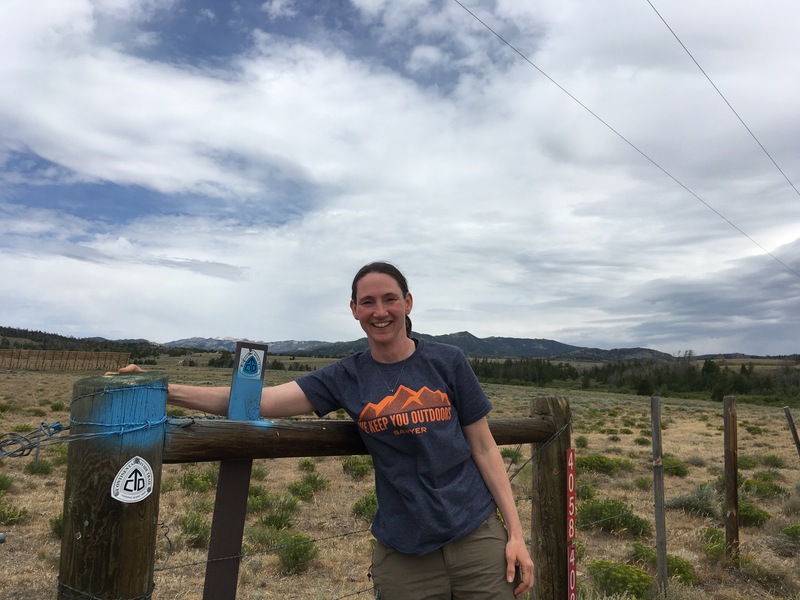 -I coordinated with our trail friends, Pyrite and Chinchilla, to figure out our shuttle to the trailheads and stay in Lander. -I had my maps printed for the hike I’ll be doing after the WRHR, the Kings Canyon High Basin Route (125mi route like the SHR!). I held off on logistics for this hike until I knew dates would work out. -I got the permit I’ll need for the KCHBR. -Worked out logistics and timing with my KCHBR hiking partner (E who I hiked the GDT with me last year!) Why Not is considering joining as well if her body is up for it. -Caught up on emails and correspondence. -Caught up with some phone calls to friends/family. -Updated the blog, and did some things I wanted to do with it once I was at my computer. 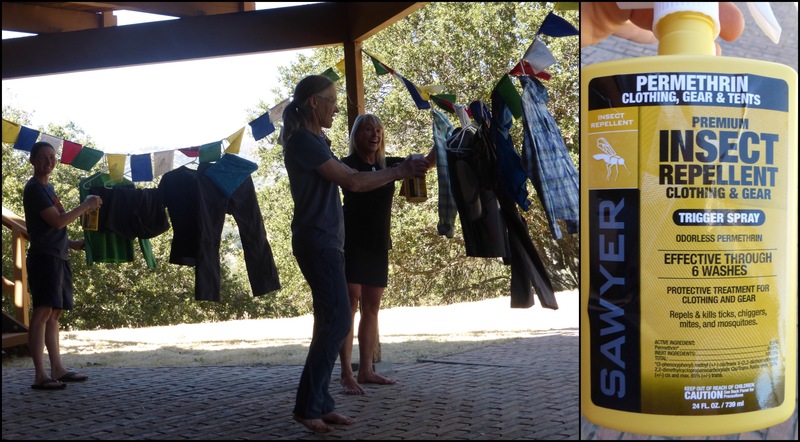 Another treatment of Permethrin for our clothes. Expecting to hit the height of the mosquitoes. Sadly, this list does not include watching any shows. Boo. I was able to watch a couple shows as we rotated turns on driving to Wyoming, so that was great! Passing the PCT on the way out of Tehachapi. Yep, where Wild was filmed. Ok, so I just love when things fall into place. The logistics on our transition to Wyoming have gone so remarkably smooth that it really couldn’t be any better. When things fall into place like this, I feel like it means I’m doing something right in this world and I’m where I should be. We drove the car all the way up to our ending trailhead near Dubois, WY. Crossing the CDT on the way to Lander. That’s the Winds behind me! Our beginning trailhead is a couple hours south, so we were able to stay in Lander near that end with trail friends Pyrite and Chinchilla. Pyrite drove out 1.5hrs each way to get us from our endpoint and bring us to their home in Lander. 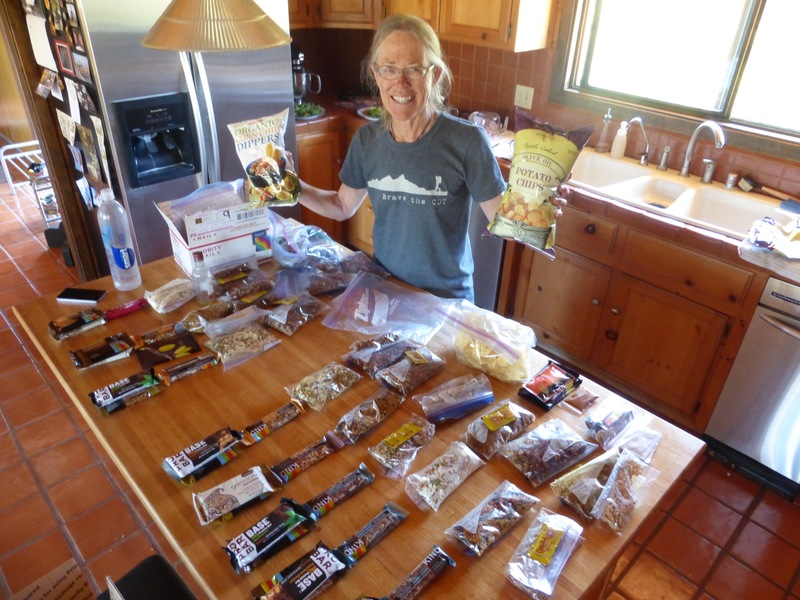 Rockin’ hosted Pyrite and Chinchilla at her home the same year as me in 2011 when we all did the PCT. I never met Pyrite and Chinchilla, but we did cross paths in 2013 in Montana when I was nobo on the CDT on Day 100 of my hike and they were sobo. Pyrite and Chinchilla are also headed to the Winds for a trip tomorrow, so they are giving us their other car to leave at the trailhead and they are going to get it on their way back home. So perfect! That way, when we finish the WRHR, the car will be right there at the end and we can begin the drive back to Rockin’s. As if that wasn’t enough, Pyrite and Chinchilla are going hiking at the trailhead next to the lodge where we will resupply. We don’t even need to send our resupplies! They will just drop it off for us. Yep, doesn’t get much better. 5 hikers in one room prepping to leave. We are all torn on how to describe our route. For the last few years, what is known as the Wind River High Route in Wyoming, has been the ~80mi route originally created by Alan Dixon and Don Wilson and we want to acknowledge that. Touted as some of the finest non-technical alpine hiking in the US, I’ve had my eye on this one for a few years. Ever since hiking through the Winds on the Continental Divide Trail, I’ve been wanting to return to spend more quality time in the Winds. It reminds me more of what I experienced on the Great Divide Trail and is more my cup of tea. Just last summer, Andrew Skurka published a route that expanded even more on Dixon and Wilson’s route to make it about 97mi. These two routes parallel each other yet overlap quite a bit in the middle. Well, technically, they have 18.4mi of overlap, but ridiculously Skurka’s route will split just for just a few miles almost just as a defiance or need to differentiate from Dixon and Wilson’s route. Skurka claims outright and boldly that his is THE route, and even felt the need to overlay the elevation charts (because higher is always better, right?). For some, that may be true, but we aren’t here to say we did the hardest route. Just the most satisfying and rewarding. In our research with those who have been out there, it’s quite a subjective topic. The Winds are amazing no matter where you go and just a matter of personal preference. I’m frankly turned off by the need to claim one over the other, and knowing that Dixon and Wilson’s is free and Skurka charges, it makes sense that Skurka would feel the need to present a case for why his is far superior. He’s a business man and knows what needs to be done to sell the product. For us, our route will be along Skurka’s route in the beginning and end because he has extended the route on both ends and more sounds great. The northern end is a section that Skurka describes as an omission on the Dixon/Wilson route that tragically bypasses some great stuff and compares it to cutting NH and ME of the Appalachian Trail. Yes, I do cringe when I read that kind of unnecessarily strong assessment, and I’m not saying the route isn’t better, I’m just saying the route probably could have spoken for itself. Our decisions at the splits will depend on many factors including weather, time, energy, and the beta we’ve gotten from others. Honestly, we aren’t out there to say we conquered some unnecessary pass or extra mileage/elevation if it isn’t something we’d enjoy. We feel like we have done some good homework on the options and will go with what is in our gut. Having said all this, I do want to thank all involved with the Winds routes that include Dixon, Wilson, Skurka, and of course Nancy Pallister (who wrote basically the bible on the Winds and we met on the SHR). As a route, about half of it will be off trail with much lower mileage than there would be on an actual trail. If you’re interested in looking at it in detail, check out my Where’s Wired tab at the top of the blog. I’m really excited about this one and love the mountains on the Divide. Yes, the weather is more temperamental with chances of thunderstorms daily, but it’s the greener grass and depth of the sky with clouds that adds to the epic views and scenery. I’m ready for the ride! The hike will take about 10 days (we are taking a 9mi each way side trip to stay at Big Sandy Lodge and resupply) and it is doubtful that there will be enough phone reception to post from the trail. Posts will go up as soon as there is service! Everything is falling into place so beautifully! May good weather and fun hiking be ahead for y’all in the Winds! wow–wish that I was with you all! 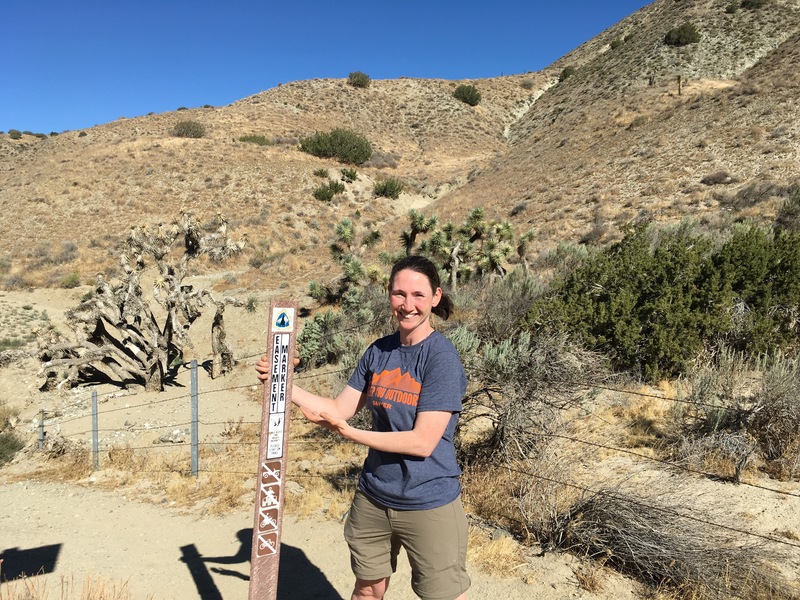 I found the off-trail hiking of the Dixon/Wilson route to be nice and easy compared to a lot of the off-trail hiking I’ve done in the Sierra. I’ll have to check out Skurka’s route eventually, although I agree attitude of the description is a turn off. Yes, we’ve heard the same and I look forward to a happy middle ground on the terrain. Uhm, I LOVE Pyrite and Chinchilla’s wood flooring!! Tell me what it is, please! Also, hi 🙂 And have fun! I like it too! They said it’s the laminate flooring from Menards and was real easy to install. Waiting for posts from the Winds. On a cold inclement October weekend at Waterton National Park in 2014 I quizzed 4 CDTers as to the best part of the hike. The Winds were unanimous. Yep! Reminds me more of being up in Canada. Just love the grandness of it! Hi Wired–I am the sister-in-law of Debbie Russell’s sister and have been meaning to to say Hi for a long time. Been following your blog for 3 years now and just wanted to say I love it! I’ve been to the Winds many times so this trip will be special to read. I’ve even stayed at Big Sandy Lodge! I’m off to do my first full thru-hike next month on the JMT. This happened mostly out of inspiration from you! Can’t wait to hear & see the Winds from your words and eyes! Hi Patty! This is so great to hear! I will be overlapping the JMT just briefly in the next two weeks on the High Route I’m doing. Wouldn’t it be amazing if we overlapped!? I think you’re going to just love it! So happy and excited for you. Thank you for acknowledging that. I am hard pressed to find many people who are willing to give away for free a product that took 125+ hours to develop. It’s actually quite a lot. I can name a handful whom I greatly admire for their contributions to quality free map and guide making…Halfmile(PCT), Ben Mayberry(GDT), Li Brannfors(HDT, PNT, AZT, GDT), Dixon (Torres de Paine, WRHR, SoSHR), Brett “Blisterfree” Tucker (GET & L2H). To me, I actually prefer having online documents as they can be easily updated for the masses. I know it’s a turn off for some who are used to books and see a concrete book as more valid, but that’s not my thought. However, I do feel like the digital production in this case does seem to encourage a less qualitative product than if it had been an actual book. If you know you can easily go back and make changes later, you’re going to be less likely to comb through it with a fine toothed comb and things will fall through the cracks. On a separate issue, the resupply information is very interesting .. typically, how many lb of food are you carrying when you set off? A big part of the total carry? I don’t do resupply, so I expect to carry quite a lot to start with and then live off what I can get locally. Erin you do seem to use a fair amount of junk food! On the information provided, I am probably most with Rockin’, though I don’t care about gluten free. I do think that if you can’t heat food and drink, you do lose something. Anyway very best of good luck on this walk and look forward to reading all about it! Haha, I’ve greatly improved on my diet, so give me that. I’ve actually even cut back some on the junk. I did eat Taco Bell tonight though…I don’t measure it out, but they said it’s around 2lbs a day. I have no idea. Finally found time to catch up on your wonderful adventures so far. For me the scenery is just stunning and I truely admire your groups stamina and determination to experience it all. As always a fantastic read and I am hoping that from now on I will have time to follow your footsteps daily. Well, after you are back in the network. Great to hear Helen! This next hike will be two weeks without service! These more remote hikes are killin’ me that I have to post all of it after it’s over. It’s like I’m on Netflix and people have to binge read it when it’s released. Erin, thanks for all the insight on planning your adventures. I think that you must really love to plan because otherwise it just would not happen. So much to do. Hope you three have an absolutely great time whatever route you take in the Winds! It’s funny cause I hate the planning, but I find comfort in a well planned trip. HIYA Erin and the Galz! 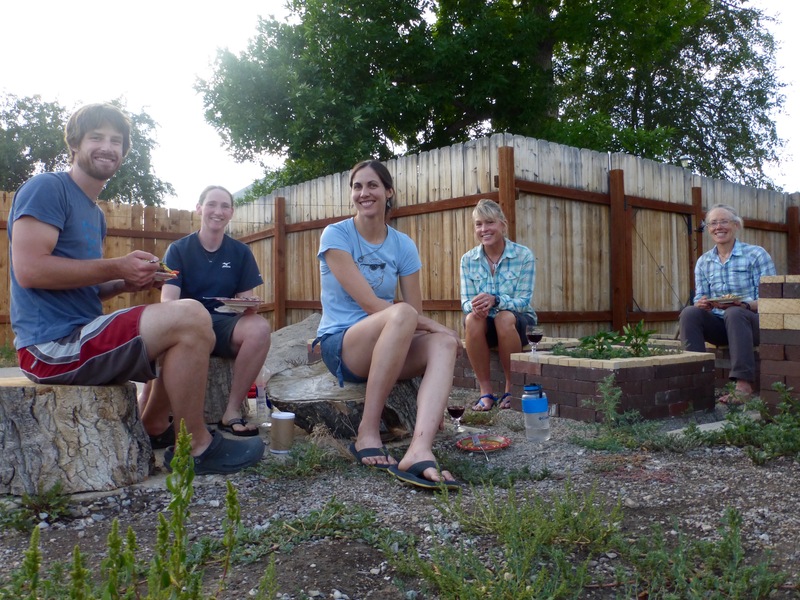 This is Mary from Laramie– we met on the trail your first day in the Winds. I love your blog and have been enjoying following your DeLorme. You camped at Mud Lake (Big Sandy Opening) which is where Finis Mitchell had his fishing camp back in the 1930’s. I hope his spirit is smiling upon you and sending you sunshine and only the wimpiest of mosquitos!